Historians usually add a painting as an illustration. Fine Art Investigations uses portraits as an entry point to history. An example is the stories behind the recently re-discovered portraits of the Dunnicas. The first part of their biography briefly described American expansion in the west after the War of 1812. Back when the Western frontier was central Missouri and the basic mode of transportation was a keel boat. The story resumes after William Franklin Dunnica established a successful merchandising company beside the Missouri River in Chariton / Glasgow, Missouri, married, and built a large home on a hilltop above the town. 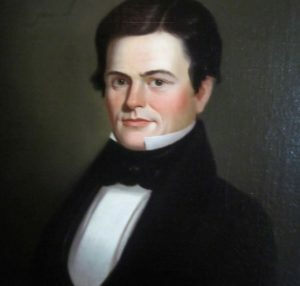 William Franklin Dunnica was a 30-year-old merchant in Glasgow, Chariton County, Missouri, in 1837 when George Caleb Bingham painted the recently re-discovered portraits of him and his 17-year-old wife, Martha Jane Shackelford. A year later, the Missouri militia called Dunnica and other residents of Chariton to neighboring Carroll County. 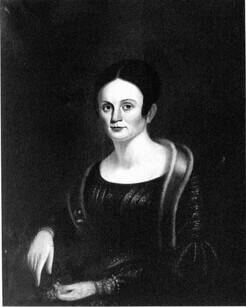 As her husband forestalled war, Martha Jane Dunnica was at home with their newborn first child, Jane Eliza (1838-1858). As was customary at the time, Martha Jane gave birth to a child about every year and a half: Ann Meyrick (1841–1863), Mary Louisa (1843–1930), Thomas Shackelford (1845–after 1880), Theodore (1847–1851), Locke (1851–1852), and Sydney (1855–after 1880). From April 1849 until December 1852, William Dunnica held the position of postmaster, a prestigious federal appointment at the time. In 1858, after Glasgow citizens organized a branch of the Exchange Bank of St. Louis with Dunnica as its leader. In the midst of William’s successes, Martha Jane died in childbirth on August 31, 1858. Their seventh child died with her. William and Leona Dunnica repaired their home and replaced their bullet-ridden furniture. Under the clapboard of the house, the bullet holes can still be seen. The Thomson & Dunnica Bank survived the war and continued until 1877 when it merged with Howard County Bank. Dunnica again led the financial institution until he retired in 1881 at the age of 74. William Franklin Dunnica lived to the age of 88. He died on April 28, 1896. Leona died in Glasgow nine years later on February 28, 1905. They are both buried in Glasgow’s Washington Cemetery beside Dunnica’s first wife, Martha Jane Shackelford Dunnica. 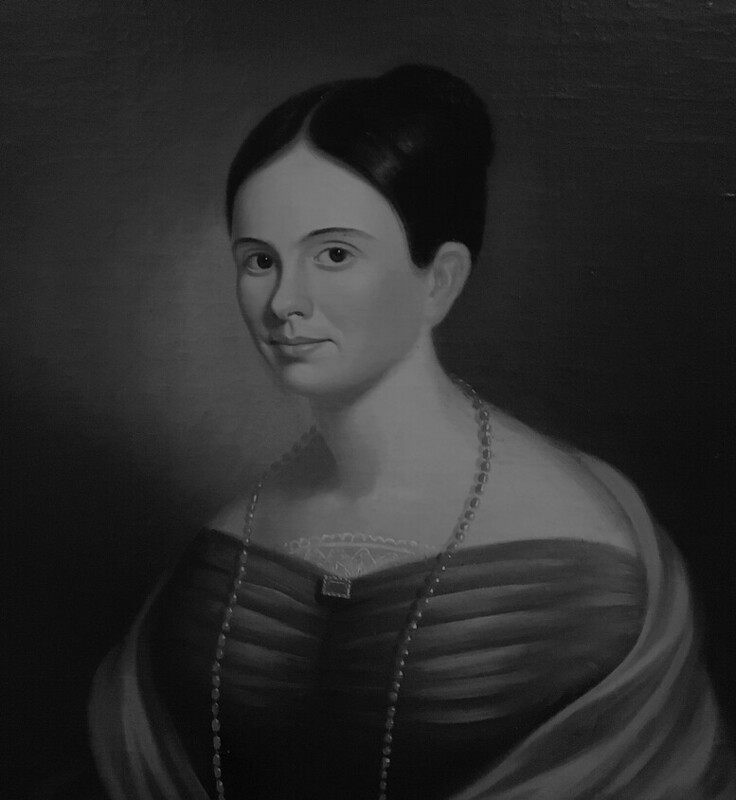 With the re-discovery of the companion portraits of William Franklin Dunnica and Martha Jane Shackelford, we now have another example of Bingham’s artistry. We also have a window into the past that brings history to life through the details of the sitters’ lives. [i] O. P. Williams, History of Chariton and Howard Counties, Missouri (National Historical Company. 1883), 54-56; Background information from Stephen C. LeSueur, “Missouri’s Failed Compromise: The Creation of Caldwell County for the Mormons.” Journal of Mormon History 31, no. 2 (2005): 113-44. http://www.jstor.org/stable/23289934, accessed February 2019. [ii] O. P. Williams. & Co., History of Howard and Cooper Counties, Missouri (National Historical Company. 1883),437; Available documentation does not clarify whether Dunnica was the official or unofficial registrar for land titles; The Papers of Henry Clay: The Whig Leader, January 1, 1837-December 31, 1843 (University Press of Kentucky, 2015), 453. [iii] Williams, History of Chariton and Howard Counties, Missouri, 354. [iv] William E. Foley, “Hardeman, John,” in Lawrence O. Christensen, William E. Foley, Gary Kremer, and Kenneth H. Winn, eds., Dictionary of Missouri Biography (University of Missouri Press, 1999), 370-371. 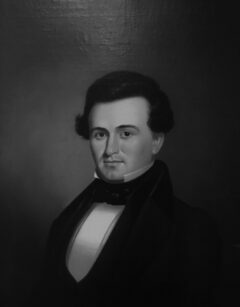 George Caleb Bingham portrayed Leona’s brother, John Locke Hardeman, circa 1855, which is owned by the State Historical Society of Missouri, Columbia, http://digital.shsmo.org/cdm/singleitem/collection/art/id/245/rec/1, accessed January 2019. [v] Ibid., 234, 211; United States Census Bureau, Eighth Census of the United States: Slave Schedules, “W. F. Dunnica,” Chariton-Glasgow, Howard, Missouri, August, 1860, column 2, lines 3-13. [vi] Williams, History of Chariton and Howard Counties, Missouri, 288; J. Y. Miller added specific leadership details. [viii] Ibid. Daniel N. Rolph, My Brother’s Keeper (Stackpole Books, 2002) referenced in J. Y. Miller, “LT James W. Graves – A Story of Courage and Honor,” Battle of Glasgow History, Lewis Library, Glasgow, Missouri, http://www.lewislibrary.org/BOGGraves.html, accessed January 2019. [xiv] J. Y. Miller, Battle of Glasgow History, Lewis Library, Glasgow, Missouri, http://www.lewislibrary.org/BOG.html, accessed January 2019; email correspondence with J. Y. Miller, January 28, 2019. Provenance and art historical research strongly suggested that family lore was true: George Caleb Bingham painted the heirloom portraits of William Franklin Dunnica and his wife, Martha Jane Shackelford. (See Rediscovered Bingham Portraits: The Dunnicas, Part 1). Would connoisseurship confirm or deny that the portrait pair were rediscovered paintings by Bingham? 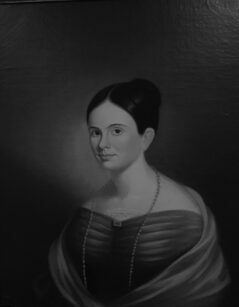 According to art historical research, Bingham painted the portraits between 1836 and 1839, when the subjects, William Franklin Dunnica (1807-1883) and his wife Mary Jane Shackelford (1820-1858) lived in Chariton (now Glasgow), Missouri, about 20 miles northeast of George Caleb Bingham’s hometown of Arrow Rock, Missouri. 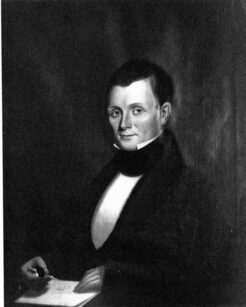 Bingham is known to have portrayed at least 10 Chariton / Glasgow residents during those years. He painted some in the fall of 1837; others, after a two-month visit to Philadelphia in spring 1838. The latter portraits show sophisticated techniques such as more fluid brushwork and increasingly flattering poses. 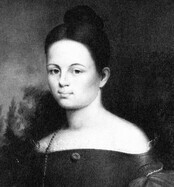 (See the comparisons of the two paintings of Mary Jane Shackelford Dunnica in link to Correcting an Art Historical Mistake.) Below are images of 8 of those 10 paintings compared with images of the Dunnica portraits. The similarities of Bingham’s Glasgow portraits to the portraits of the Dunnicas are, in my opinion, unmistakable. The Cockerill portraits may have been painted earlier than the others. Without having seen the paintings in person, they look stiffer than the others, more akin to Bingham’s earlier work before his visit to St. Louis. That, impression, however, could be a result of the photographs. At first glance, the Belden portraits (cropped) and the Swinney portraits look nearly identical to those of the Dunnicas. William Dunnica and William Swinney were partners in the tobacco trade. Joshua Belden was William Swinney’s secretary. In the three portrait pairs, the height of the men’s shirt collars touch their chins. The lengths of their sideburns are comparable. All three women wear quite similar hairstyles. This conformity to the fashions indicates that all six portraits were painted around the same time. Hair, eyebrows, eyes, and ears, to the manner in which the artist tinted the cheeks, shadowed the face, the nose, and the necks of the women are all the same. Since the examples are known and accepted works by George Caleb Bingham, then the Dunnica portraits, not only logically, but through style and technique were, in my opinion, and that of Maryellen McVicker, painted by George Caleb Bingham. Do you have any doubts that the artist was Bingham? How did E. Maurice Bloch make such a mistake? In New York City, in 1842, a group of patriotic entrepreneurs, who wanted to promote American art and American artists, formed the American Art-Union (AAU). The businessmen recognized the potential of improved printing technologies. Not only could books and newspapers be printed more easily and quickly, through printed reproductions, art could be as well. For an annual membership fee of $10 (the equivalent of about $100 today), the American Art-Union guaranteed each member a reproduction of a painting purchased by Art-Union jurors. The fee also entered members in an annual lottery to win an original painting. The AAU also maintained a free public art gallery in New York and published a magazine, The Union. Subscribers from all over the country could see the choices of the directors as the best of American art. As a result, prints of paintings by American artists hung in an ever-greater number of homes. Through their purchases, the American Art-Union directors provided good artists not only income, but name recognition. To meet the approval of the jurors, the subject of the painting had to be “taken from every day scenes of life, those that are not suggestive of, or create painful emotions.” Selections ranged from landscapes created by artists associated with the Hudson River School such as Thomas Cole (1801-1848), Jasper Francis Cropsey (1823-1900), and John Kensett (1816-1872), to scenes from popular plays and novels, such as Washington Irving’s Legend of Sleepy Hollow by John Quidor (1801-1881). Artists Asher B. Durand (1796-1886) and John Blake White (1782-1859) painted famous moments from the Revolutionary War, Capture of Major Andre and General Marion Inviting a British Officer to Share His Meal. The jurors approved humorous pastoral scenes with subtle political commentary like Farmers Nooning by William Sidney Mount (1807-1868) and more overt political commentary like Old ’76 and Young ’48 by Richard Caton Woodville (1825-1855). In 1852, in response to a lawsuit by religious organizations, the New York State Supreme Court ruled the American Art-Union’s annual lottery illegal. But the Art-Union was already nearly dead from financial mismanagement. While in existence, the American Art-Union provided support to contemporary American artists. Their widely distributed choices gave Americans a visual identity of their country and themselves. A. Warner to Frederick E. Cohen, letter, New York, Aug. 12, 1848, coll. New York Historical Society, quoted in E. Maurice Bloch, George Caleb Bingham: The Evolution of an Artist, (Berkeley, California: University of California Press, 1967), 81. Joy Sperling, “Art, Cheap and Good:” The Art Union in England and the United States, 1840–60, Nineteenth Century Art Worldwide: A Journal of 19th Century Visual Culture, Vol. 1., No. 1, Spring 2002. That [Bush] was not famous in the old world, and in the art world everywhere, was because he had not that desire for travel abroad, and for free association with the noisy and active ones of his profession, which would have given him a prominence he did not yearn for. He was content to know that the emanations of his pencil were admired and prized by those he was proud to call his friends. 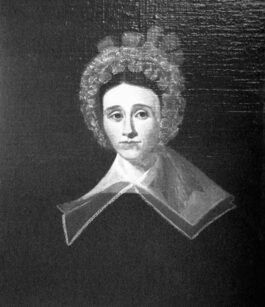 Philip Bush, Jr.’s wife was Elizabeth Palmer (1766-after 1828). She was half-French on her mother’s side and born near Charleston, South Carolina. The Bushes had several children, but only two sons lived to be adults, Joseph Henry, and his brother, James Miles (1808-1875). 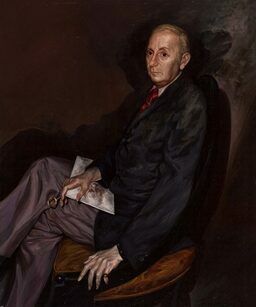 Philip was an amateur portrait painter who created likenesses of family members and encouraged his son Joseph’s talent. But the tutelage ended. When Joseph was 13, Philip died at the age of 45, in Frankfort, Kentucky, on September 4, 1810. By managing the inn, the widow Bush was able to support herself and her children. 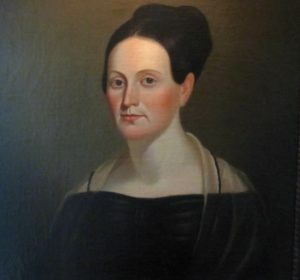 She probably had help from her family since her younger sister, Catharine Palmer (1768-1854), had married a former United States Senator, John Adair (1757-1840), who, in ten years would be governor of Kentucky (1820-1824). In 1815, a group of Frankfort men raised funds to send Joseph to Philadelphia to study with Thomas Sully (1783-1872). Sully was one of the most popular portrait artists of the day. Henry Clay (1777-1852) personally delivered young Bush to the City of Brotherly Love and even loaned Bush expense money. After studying with Sully for three years, Bush exhibited at the Philadelphia Academy before returning to Frankfort. 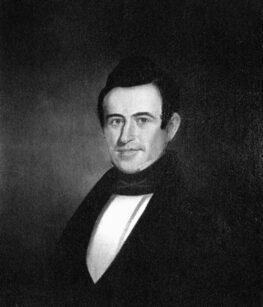 In the Frankfort newspaper, the Commentator, on October 18, 1821, Bush advertised, “Gentlemen who wish to have their portraits painted can be accommodated by applying to J. H. Bush in the rooms above the Printing Office.” His biographer reported, “It was not long before he received numerous orders for portraits.” From Frankfort, Bush moved to “the Athens of the West,” Lexington, Kentucky, where he opened a studio above a bank. But he chose Louisville as his permanent summer home. “His winters were passed in New Orleans and Natchez and by request he visited the planters of Louisiana…His work was in constant demand through the South.” His fee for a bust portrait was $150. Bush’s devotion to his profession, combined with his business acumen, helped his brother James, fourteen years his junior, attend Centre College in Danville, Kentucky. After graduating at the top of his class, the younger Bush moved to Lexington, Kentucky, to attend Transylvania Medical School. There, he studied under a renowned surgeon of the time, Dr. Benjamin Winslow Dudley (1785-1870), who was chairman of the departments of Surgery and Anatomy. Dudley was years ahead of his time in condemning blood-letting and demanding clean instruments. He pioneered surgical treatments for epilepsy, aneurysms, and kidney stones. James Bush became Dudley’s colleague and successor. In 1839, Transylvania Medical School’s leaders asked Dr. Bush to head the Department of Anatomy. He accepted, and at university expense, traveled to London and Paris, to learn the latest surgical techniques and to purchase books and instruments. He returned to the United States on September 21, 1839. As souvenirs for his artist brother, he probably bought the latest artistic supplies available in the two European capitols. Bush was ahead of his time in his use of aqueous mediums. As painted portraits declined in favor of photography, Joseph adapted by painting portraits from photographs. The degree of his success is apparent in the figures recorded by the Louisville census taker on June 19, 1860. The value of his real estate was $4,000; his personal property, $20,000. But his health was failing. 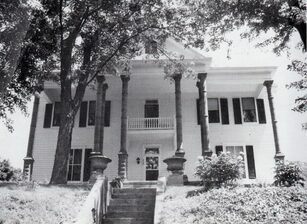 In 1861, he moved into his brother’s home, where he died in 1865. Not long before Bush’s death, George Peter Alexander Healy (1813-1894) painted a portrait of the distinguished man who looked every inch a consummate artist. Many fine paintings by this artist who did not yearn for fame are relatively inaccessible. Transylvania University in Lexington, Kentucky, arguably owns the greatest number, and possibly the finest of his works, for most are of his family. Also, in Lexington, the Filson Museum is the repository for several of Bush’s paintings. In Louisville, Kentucky, at the Speed Art Museum owns several. But, Joseph Henry Bush’s most famous painting hangs in the White House, the official portrait of Zachary Taylor (1786-1850) and a superb example of Bush’s skill with artistic license. Taylor was a hero of the Mexican-American War and the 12th president of the United States. Taylor’s appearance differed from the norm. One of his soldiers described him as, “Old Rough and Ready, as he is not inaptly styled, whom you must know by-the-bye, is short, fat, and dumpy in person, with remarkably short legs.” “Although his large head and torso were mismatched with his short legs…he looked like a man born to command.” Taylor’s legs were so short, he needed help to mount his horse. Bush’s first act of artistic license was to choose a composition longer than waist length but shorter than full-length. The pose allows a viewer to see the grandeur and power of the general – and to unconsciously presume that Taylor’s legs were proportionate. Bush slimmed Taylor’s large head so much that when I looked at the paintings and photographs, I wondered if they represented the same man. After cropping, I could see the similarities. From left to right and from back to front, with paint, or with clever use of light and shadow, Bush narrowed Taylor’s skull and jaw, and not just the soft tissue; he shortened the jawbone considerably. By simply suggesting wrinkles, rather than by copying the deeply etched lines seen in Figure 16, Bush dropped years from Taylor’s face. Bush portrayed Taylor’s mouth accurately with its fuller lower lip and barely visible upper lip. In the photographs, Mathew Brady took pains to blunt the look of Taylor’s beak-like nose through lighting, pose, and possibly, through retouching. Bush opted for a more realistic look, though he softened the shape of the nostrils. I hope sooner, rather than later, artworks by Joseph Henry Bush are more readily available to a wider public and well-deserved greater fame enhances the memory of this modest man. Lewis Collins, Collins’ Historical Sketches of Kentucky: History of Kentucky, Volume 1 (Collins & Company, 1878), 624. Price, 71; Noble W. Hiatt and Hiatt, Lucy F., The Silversmiths of Kentucky: Together with Watchmakers and Jewelers, 1785-1850 (Standard Print Company: 1954), 18. Ancestry.com, Hiatt, 19; James Bush’s middle name is variously spelled Miles or Myles. I chose to use the name written on his tombstone, Miles. 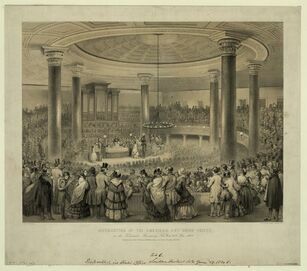 “Adair, John (1757 – 1840),” Biographical Dictionary of the United States Congress, http://bioguide.congress.gov/scripts/biodisplay.pl?index=A000026, accessed May 2015; Henry Clay, The Papers of Henry Clay: The Rising Statesman 1815—1820 (University Press of Kentucky, 2015), 230. Henry Barkley Archibald, Kentucky’s Pioneer Lithotomists (C. J. Krehbiel, 1913), 55-138; John E. Kleber, ed., Kentucky Encyclopedia (University of Kentucky Press, 1992), 272. Kentucky State Medical Society, Transactions of the Kentucky State Medical Society (The Society, 1877), 181-182. United States Census Bureau, Seventh Census of the United States, “Galt Hotel,”, August 9, 1850, Louisville District 2, Jefferson, Kentucky, Roll, M432-20b, Page 152, line 29 (Hotel identified through J. Stoddard Johnson, Memorial History of Louisville from its First Settlement to 1896 [Biographical Publishing Company, 1896], 88); United States Census Bureau, Eighth Census of the United States, “Household of Joseph H. Bush,” June 19,1860: Louisville Ward 4, Jefferson, Kentucky; Roll: M653-376; Page 51, Line 33. H. Montgomery, The Life of Major General Zachary Taylor, (J. C. Derby, Inc., 1848), 338; Paul Joseph, Zachary Taylor (Abdo Publishing Company), 1999, 28; Michael R. Beschloss, American Heritage History of the Presidents (New Word City, Inc., 2015); Neil A. Hamilton, Presidents: A Biographical Dictionary (Infobase Publishing, 2010), 99.